Super Savings Item! Free Shipping Included! 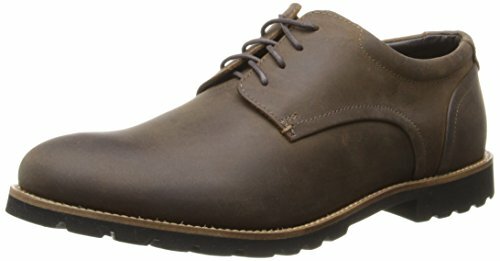 Save 39% on the Rockport Men's Sharp & Ready Colben Brown Oiled Leather 11.5 W (EE)-11.5 W by Rockport at Mas Fashion. MPN: A14563. Hurry! Limited time offer. Offer valid only while supplies last. Full-grain leather upper in a classic silhouette. Lace-up closure for a secure and adjustable fit. Leather lining keeps feet dry and happy all day. Full-grain leather upper in a classic silhouette. Lace-up closure for a secure and adjustable fit. Leather lining keeps feet dry and happy all day. Footbed features adiPRENE at the heel to absorb shock on impact. Lightweight EVA outsole provides lightweight shock absorption to reduce foot and leg fatigue.